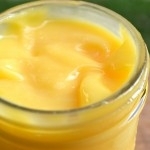 Lemon Curd--try this with those new-found powers of HOME CANNING! Recently I got together with a friend and helped her make the following Lemon Curd. It was De-LISH! Follow the instructions exactly for a good boiling-water-bath-preserved lemon curd. 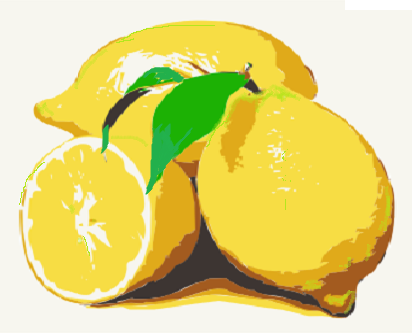 Make sure you get lots of lemons, organic or home-grown lemons, for the most excellent zest. Previously I had ONLY made lemon curd using the "coat the back of a spoon" test for thickness. This test can be dicey as if you are not familiar with how the curd coating the spoon should look, you will overcook the curd wind up with scrambled bits of egg in your batch. This recipe has you use a good thermometer--if you don't have one, I highly recommend you get one. That thermometer makes things easy. Our curd was carefully cooked and was pulled off the heat just when if hit 170º F. It was perfect, and perfectly delicious. Use your new-found hands-on water bath abilities to make Canned Lemon Curd. You can do it! Just read through the instructions and follow them; they look involved but are very easy to follow. And I dare you NOT to eat it out of the jar with a spoon! 1. Wash 4 half-pint canning jars with warm, soapy water. Rinse well; keep hot until ready to fill. Prepare canning lids according to manufacturer's directions. 2. Fill boiling water canner with enough water to cover the filled jars by 1 to 2 inches. Use a thermometer to preheat the water to 180°F by the time filled jars are ready to be added. 3. Combine the sugar and lemon zest in a small bowl, stir to mix, and set aside about 30 minutes. Pre-measure the lemon juice and prepare the chilled butter pieces. 4. Heat water in the bottom pan of the double boiler until it boils gently. The water should not boil vigorously or touch the bottom of the top double boiler pan or bowl in which the curd is to be cooked. Steam produced will be sufficient for the cooking process to occur. 5. In the top of the double boiler, on the counter top or table, whisk the egg yolks and whole eggs together until thoroughly mixed. Slowly whisk in the sugar and zest, blending until well mixed and smooth. Blend in the lemon juice and then add the butter pieces to the mixture. 6. Place the top of the double boiler over boiling water in the bottom pan. Stir gently but continuously with a silicone spatula or cooking spoon, to prevent the mixture from sticking to the bottom of the pan. Continue cooking until the mixture reaches a temperature of 170°F. Use a food thermometer to monitor the temperature. 7. Remove the double boiler pan from the stove and place on a protected surface, such as a dish cloth or towel on the counter top. Continue to stir gently until the curd thickens (about 5 minutes). Strain curd through a mesh strainer into a glass or stainless steel bowl; discard collected zest. 8. Fill hot strained curd into the clean, hot half-pint jars, leaving ½-inch headspace. Remove air bubbles and adjust headspace if needed. Wipe rims of jars with a dampened, clean paper towel; apply two-piece metal canning lids. Process in the prepared boiling water canner according to the recommendations in Table 1. Let cool, undisturbed, for 12 to 24 hours and check for seals. Table 1. Recommended process time for Canned Lemon Curd in a boiling-water canner. 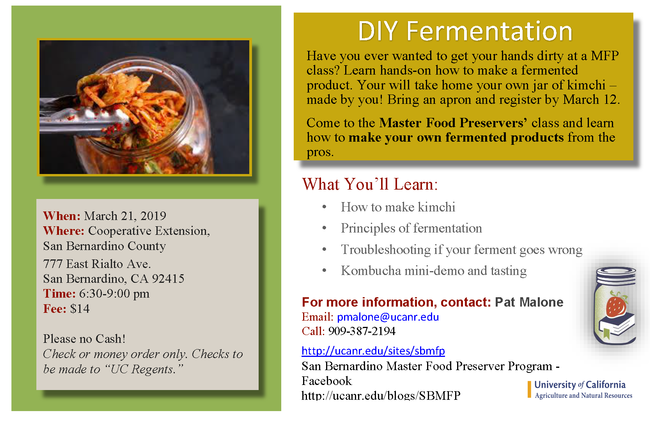 Developed at The University of Georgia, Athens, for the National Center for Home Food Preservation. Released by Elizabeth L. Andress, Ph.D., Department of Foods and Nutrition, College of Family and Consumer Sciences. December 2004. This material is based upon work supported by the Cooperative State Research, Education, and Extension Service, U.S. Department of Agriculture, under Agreement No. 00-51110-9762.